Score $10 flip flops, Le Labo exclusives, and pretty prints by Kelly Christine Sutton. There are “Things to Do,” and then there are “Things to Shop.” Here are a few opportunities to support your favorite local spots in Dallas. We loved Molly Mathais’ new Oak Cliff boutique so much, we created a Best of Big D category specifically for the vintage- and local artisan-filled haven: Best Instagram Account Turned Store. 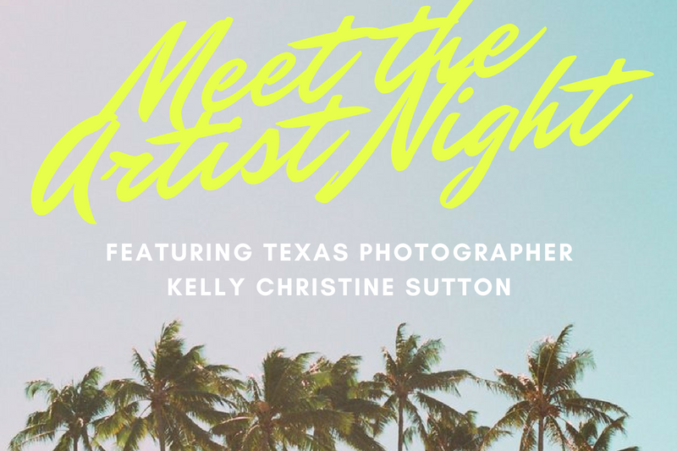 Stop by Magic Hour this Friday to shop the lovely space yourself, and, starting at 6:30pm, link up with artist Kelly Christine Sutton (sister to Kacey Musgraves), who will be selling her prints and chatting over complimentary wine. How big a deal is Hari Mari’s annual sample sale? 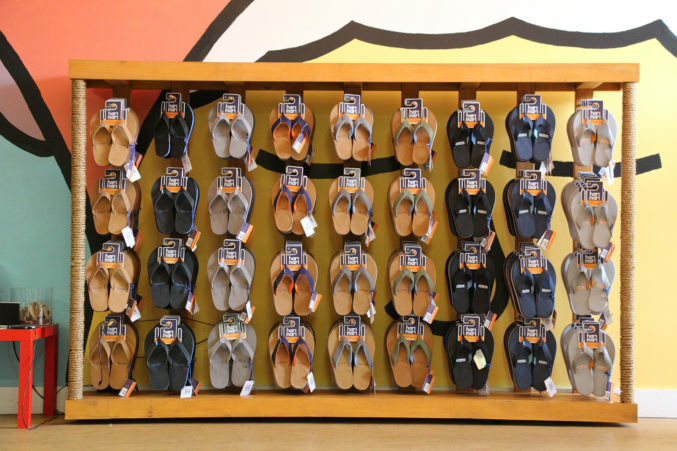 $10 flips flops big, which, granted, might not seem like a huge deal, but when the sandals are as stylish and well-constructed as Hari Mari’s, we say big. Tim Rogers will probably be there. You’ve almost certainly smelled Le Labo’s cult-favorite Santal 33 at some point in the city. (The signature scent is practically ubiquitous in our office.) 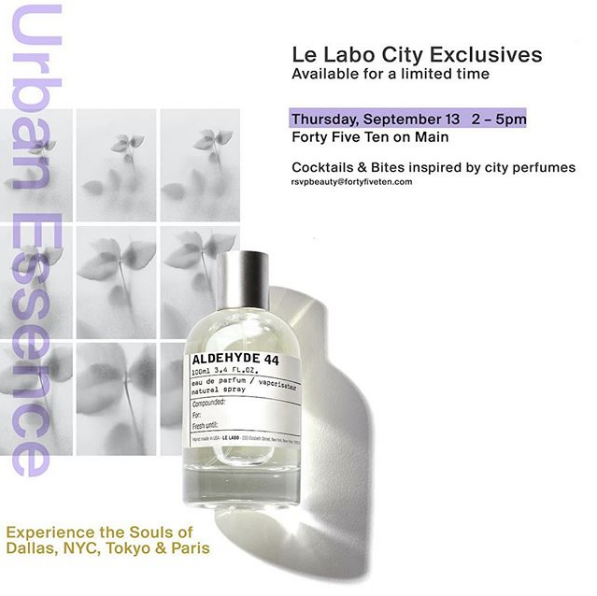 But this Thursday, in a rare occurrence, Forty Five Ten on Main will be selling exclusive scents inspired by cities lucky enough to have a Le Labo outpost: New York, Tokyo, Paris, and of course, Dallas. In atypical Dallas fashion, this September actually sort of feels like fall. 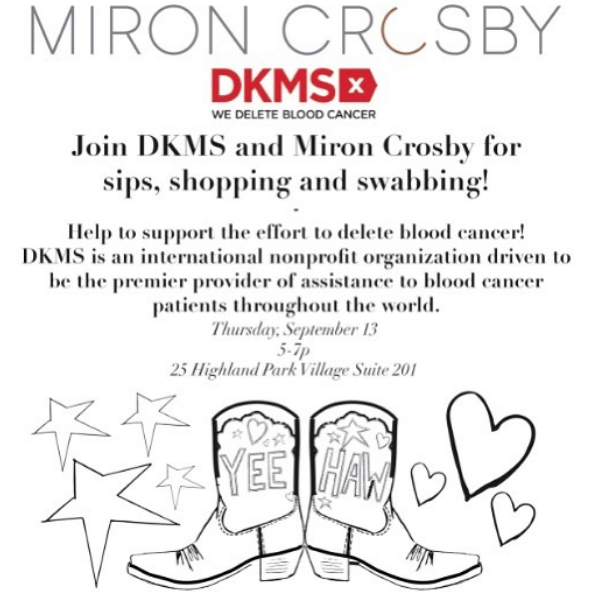 Celebrate boot season by spending on a pair at Miron Crosby’s chic Highland Park studio, and feel good knowing your supporting DKMS, a non-profit advocacy group fighting the good fight against blood cancer.